Corner of Ocean and Bay is a mature Young Adult novel that highlights the friendship of Nessa and Jacie during the summer before their senior year of high school. Primarily focusing on teen topics such as underage drinking, family issues, and first loves, the novel explores how Nessa and Jacie navigate these challenges and the impact certain situations have on their friendship. The Last First Game is the first novel in The Senior Semester Series. The New Adult novel explores the relationship between Lila, a pre-med student, and Cade, a football player during the first semester of their senior year of college. Highlighting many New Adult topics such as university life, handling family pressures, as well as dealing with grief, illness, and divorce, Cade and Lila’s relationship blossoms in the midst of uncertainty and insecurity. Why did Mia Petrellla ever make such a drastic life change? Spending the fall semester of her senior year in Rome is a huge leap outside of her comfort zone and she’s a nervous wreck. But then something unexpected happens. During her first hours in Rome, she meets Lorenzo Barca, a charming Italian waiter with deep blue eyes and a devilish wink. From their first encounter, Lorenzo catches Mia off-guard with his piercing gaze and friendly banter. Maybe her adventure abroad will be more surprising, and less nerve-wracking, then she thought? Lorenzo Barca is fed up and done wasting his time waiting tables at his family’s restaurant when he could be living his life. The life he should be living. The life he wants to be living. And it doesn’t include serving loud American tourists espresso. Until one of those American tourists turns out to be a sweetheart with chocolate eyes and a beautiful smile. Soon, Mia Petrella has Lorenzo not only showing up for work, but looking forward to it. Mia and Lorenzo build a friendship that blossoms into love, but they both hold back as Mia’s departure date and the transition to a long-distance relationship is inevitable. When Lorenzo makes a series of shocking discoveries regarding his family, his future, and Mia, their bond threatens to snap, shaking them both to the core. Can Mia and Lorenzo trust each other enough to build the future they both desire? Breaking ties with the Devil’s Shadows MC was tough, but not impossible. I’m a different man now, on the path to redemption. Until I literally crash into a beautiful woman, ruin her career, and destroy the life she’s built for herself. Apologizing to Taylor Clarke, Savannah socialite and model, is easy. Forgetting her is impossible. I never see him coming. Not when he crashes into me and not afterwards, when everything I’ve created is destroyed. Rebuilding my life and career after the accident is painful. Accepting who I am now is challenging. But staying away from Carter Kane is hopeless. Until I learn that our lives are connected in more ways than just the accident. And then everything changes again. Straight-laced Kelsey loathes the college party scene. But one night, under rather unpleasant circumstances, she meets Mark and finds herself falling for him despite his involvement in the very lifestyle she so vehemently despises. 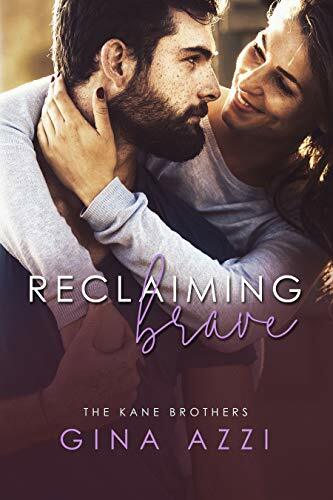 While wrestling her own personal demons, Kelsey’s capacity for forgiveness is tested—repeatedly—as Mark plunges in and out of the treacherous waters of denial and unpredictability. In time, she begins to question whether his behavior is just typical of someone living the “college experience,” or if perhaps a deeper problem exists that she is not equipped to handle. Will love see them through to calmer shores? Or will their fractured fairytale ultimately leave them feeling empty? Mia, Thomas, and Kate have paranormal abilities. And a common destiny. They just don’t know it yet. Mia Rosetti is used to being different, especially since she can tell if people are good or evil just by looking at their auras. But when a mysterious (and handsome) stranger walks into her life without one, she starts questioning her power and begins a search to find the true purpose of her gift. What she doesn’t know is that aura-less Thomas harbors secrets of his own – an abusive past and the ability to avoid danger. Halfway around the world, Kate uses a form of telepathy to provide for her sisters and is excited by the prospect of going to the United States to secure their financial independence. None are aware of the ancient prophecy foretelling the birth of seven psychics destine to change the world. Among the Shrouded follows Mia, Thomas and Kate, three unsuspecting strangers whose lives intertwine to reveal the significance of their gifts and the greater purpose of their collective lives. There will come a day when seven psychic children of the light and seven psychic children of the dark will be born. From the moment of their birth, strong powers will be in place to bring the seven light together and the seven dark together to form two separate but equally powerful groups. The first seven to gather all in one place will seal the fate of the world – dark for hell, light for heaven. At that point the seven deadly sins will take over the world or cease to exist. After Mia is rescued from the trafficking ring’s basement brothel, she and Thomas begin putting both their lives and the well-guarded pieces of the Sevens Prophecy together. Although they quickly discover their cause may already be in jeopardy, they are unaware that the powerful forces alluded to in the prophecy have begun working to unite the light psychics together with them in Baltimore. Unfortunately, those same forces are assembling the dark psychics as well. Trouble — and lots of it.